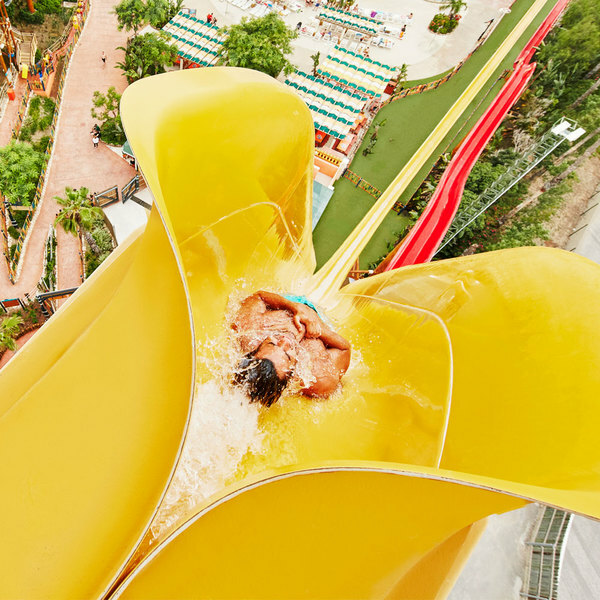 Face the PortAventura Barracudas and prove that you are the bravest pirate in the Caribbean on these dizzying slides that will spin you around and around without mercy. 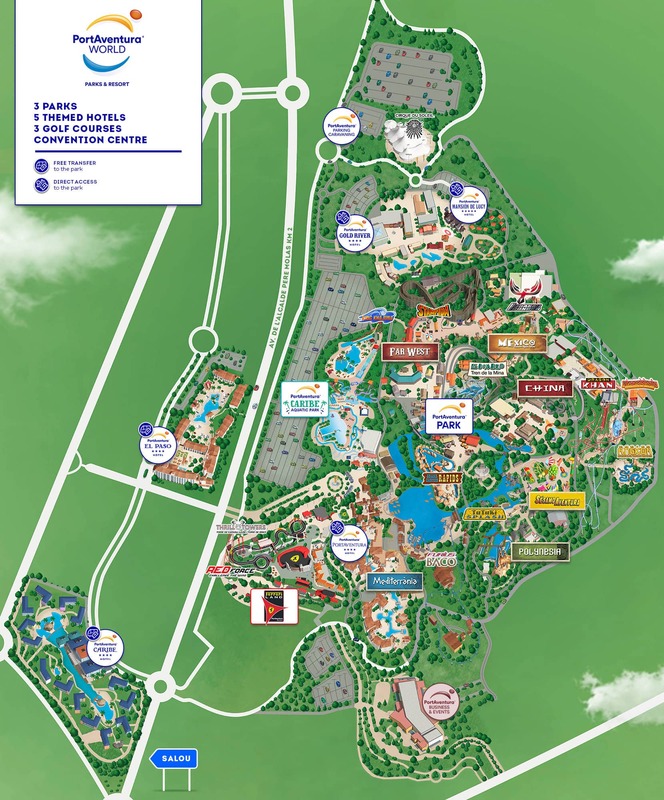 Choose between the green and the blue slide: the first one has some enclosed sections and the blue Barracudas slide at PortAventura's Caribe Aquatic Park. offers the most vertiginous drops. Don’t be fooled by the idyllic Caribbean surroundings of this tropical paradise. Just like the great storm that it conjures up, the Barracudas slides offer an exciting aquatic adventure worthy of the most daring pirates. The thrilling slides of Mambo Limbo are the perfect combination of adrenaline and the unrivalled Caribbean backdrop. 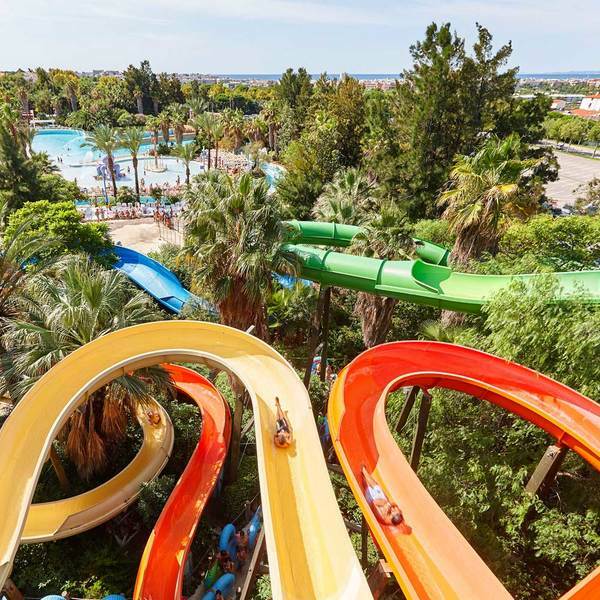 Run up to El Tifón at PortAventura and choose one of the two intrepid slides that start around 15 metres in the air to end with a dizzying descent. Take on a free fall from a height of 31 metres with a dizzying 55-degree descent. 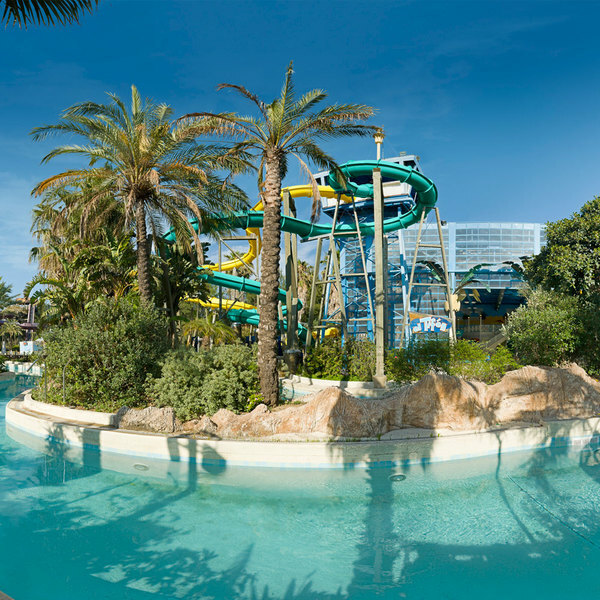 Be amazed by the star attraction of PortAventura Caribe Aquatic Park, which reaches speeds of 6 metres per second.